See below for specifications and information on this system. 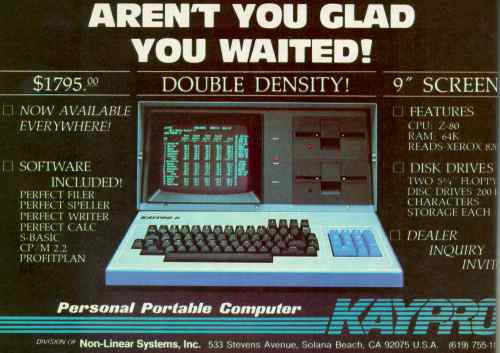 The Kaypro 2 was a more rugged, metal cased alternative to (clone of) the Osborne 1, and had a larger monitor to boot. For those looking for more storage, the Kaypro 4 offered the same machine with 394K floppy disk drives. 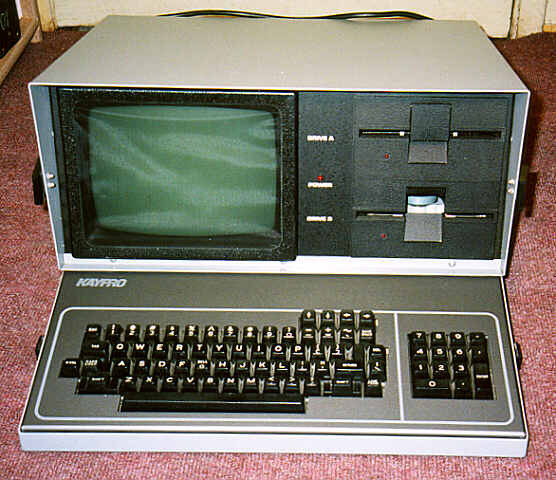 A version with an internal hard disk was the Kaypro 10.